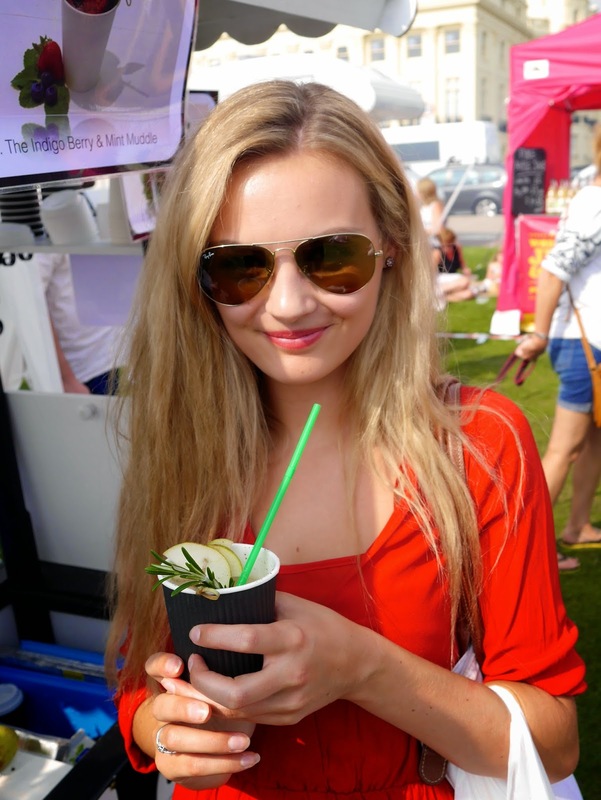 Last week I was happy to find out that the Brighton Food Festival was back again. 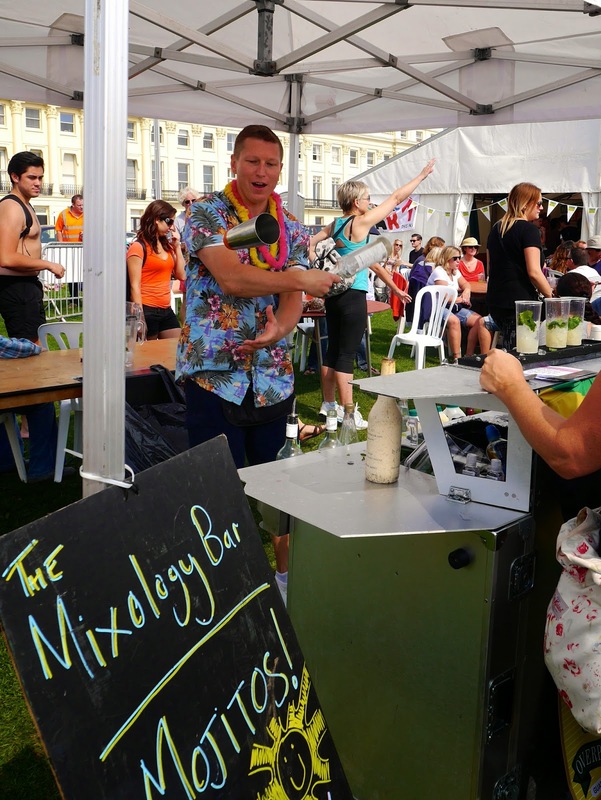 Brighton is well known for offering a fantastic array of food and drink, so the festival brings together local food producers and independent restaurants and cafes to provide the best food all in one place. 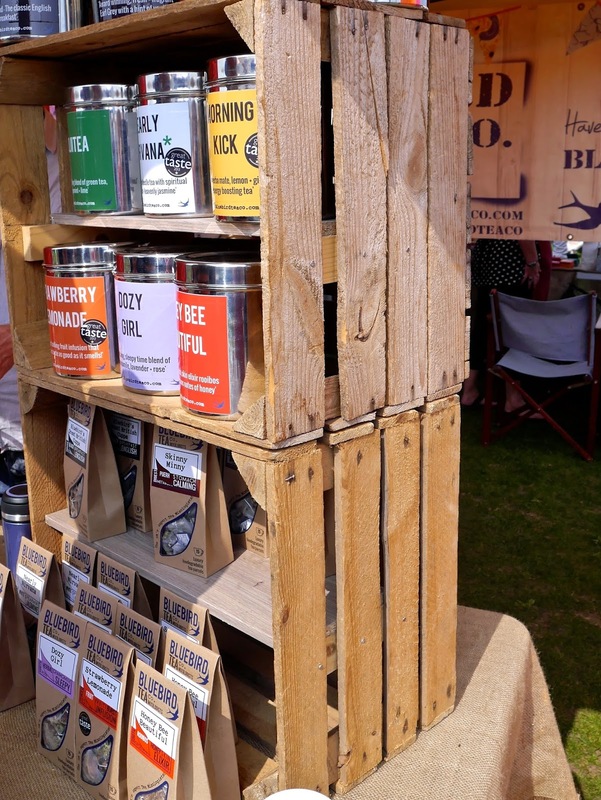 The festival runs for about 2 weeks but the main attraction is the market on Hove Lawns at the weekend! It usually works out that I’m away or busy over the food festival so I made sure that this time Marcus and I were free to spend Sunday exploring the food stalls. We decided to walk the whole way around first to scout out all the different options rather than committing too quickly to the first thing we saw! I knew otherwise we’d fill ourselves up and then see something we wish we had seen before. 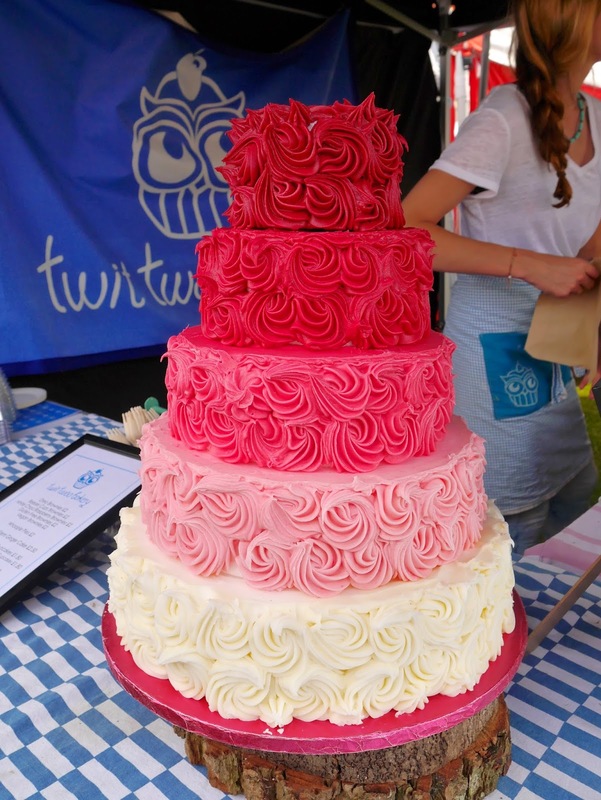 There’s anything from chicken kebabs to gluten free brownies. There’s so much to offer that I’m sure even the pickiest of eaters would find something they love. Being huge olive fans we filled up a box full of different types and flavours of olives. We ended up spending an absolute fortune on them because we didn’t realise they were going to be weighed, but at least we have at least a weeks worth of olives in our fridge now! We found a juice bar called Muddles Beverages. At first I thought it was just a usual smoothie bar but when I looked at their menu I noticed it was a little different. They mix fruit with herbs! There are many different options and all of them provide health benefits too so you can decide what one you want based on the health benefits or purely by what one you think will taste best (oh, we got to taste almost all of the flavours too before ordering!). I chose the Pear and Rosemary Muddle, which is pear juice with lightly peppered rosemary mixed with vanilla beans and almonds. It was so yummy I slurped it down in less than 5 minutes! 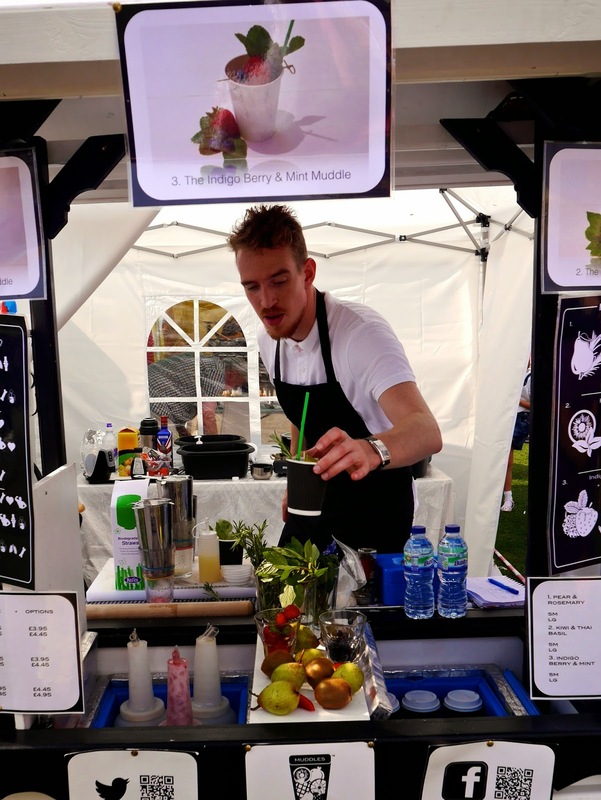 Marcus chose the Kiwi and Basil Muddle with avocado and banana, which was equally as nice. On a recent trip to town last week with Zoe, we discovered a tea shop called Bluebird Tea Co. They produce all of their own flavoured teas and even have a juice bar at the back where the juices and smoothies are made with their tea! 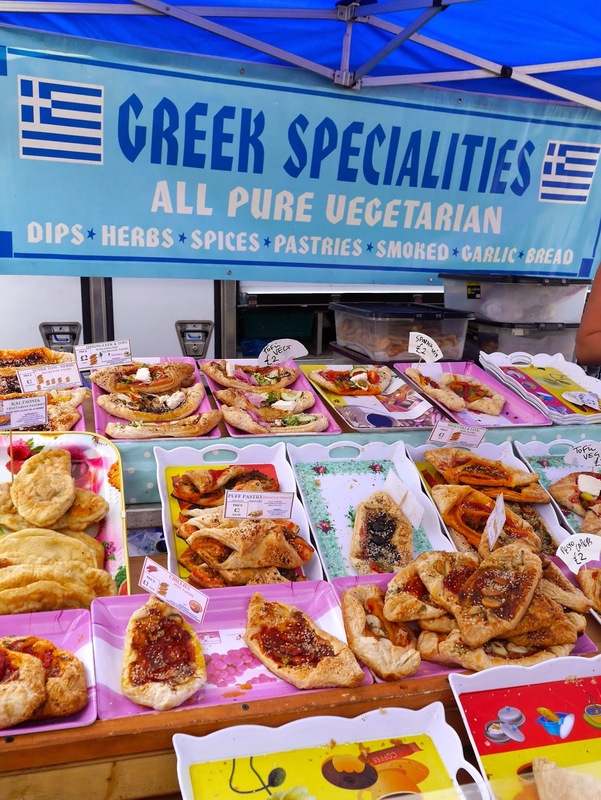 I totally fell in love with the place and was delighted to see they had a stall at the Brighton Festival. I introduced Marcus to the brand and he loved it too so bought some MojiTEA tea bags (a blend of green tea, peppermint and lime). An italian stall selling pizzas even had a real pizza oven at the back. The pizzas looked delicious, with many people walking around devouring them. 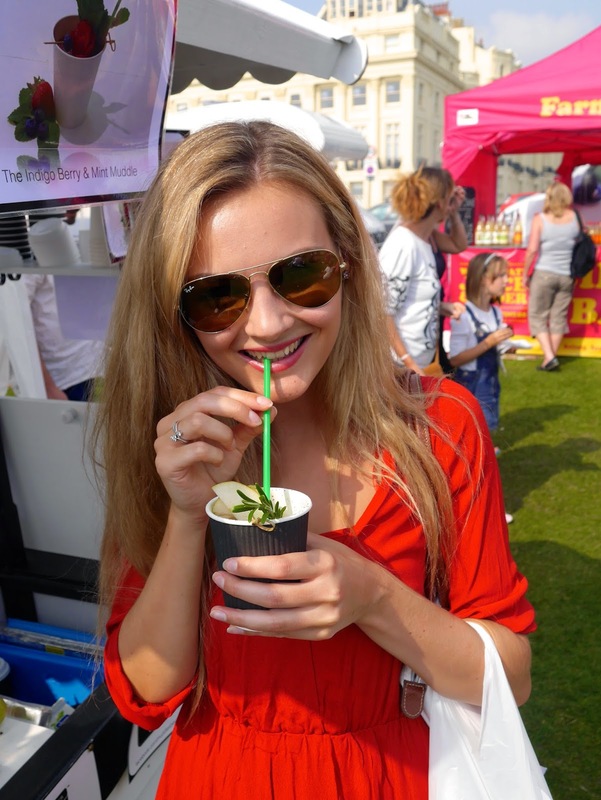 If you’re from Brighton and missed the food festival this year, it’ll be back at Easter next year so make sure you pop down even for a few minutes to see what’s on offer! If you’re not from Brighton? Well, a reason to come and visit!